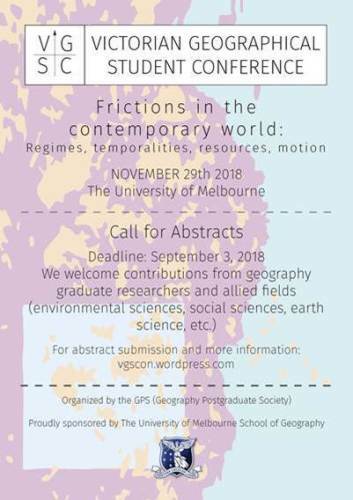 The conference's theme is frictions, a conceptual umbrella that appeals to the different facets of contemporary geography practice. We encourage contributions that explore this category within one of our subthemes: regimes, temporalities, motion & resources. This year we also enjoy the support of three student organizations: · The Climate College Graduate Student Group. · The Chinese Studies Research Group. · Ethnoforum.